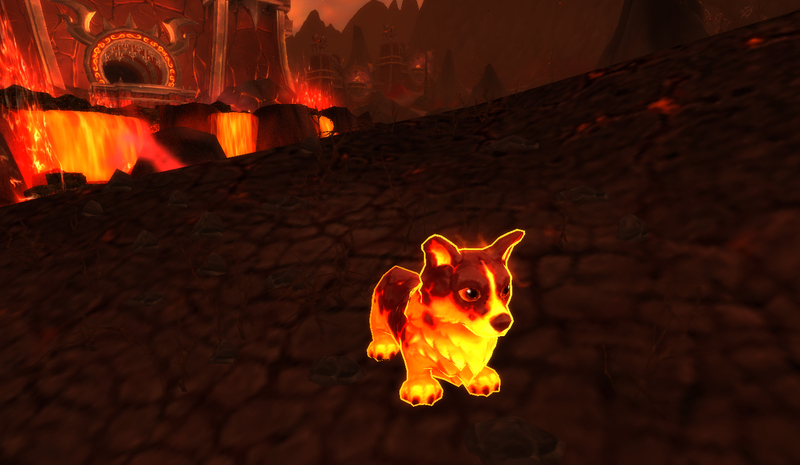 This month, the pet Quintessence & I discussed in this monthly feature was the Molten Corgi. There are lots of other reasons to obtain this cutie, including a moveset full of bells & whistles. You have a very limited amount of time to get it before it’s gone forever, so you’d better get on it. Check out the full post about the Molten Corgi. I also talked a bit about how to use your Molten Corgi on the Warcraft Pets forums. Chime in with your own ideas! This entry was posted in Uncategorized on December 18, 2014 by Liopleurodon.